If you've followed my blog for quite some time, you'll know that nothing riles me up quite like body image, more specifically how it is misconstrued in the media. Body image wouldn't even be that big of a deal to me or frankly anyone if we never started putting people into different boxes or categories in the first place. How a body is viewed is up to the person who inhabits it. Simple as that. On another body image note, during my nightly reading I saw that Old Navy is pricing plus sized clothing higher than its petite and regular counterparts and I'm not talking some pocket change of a difference. 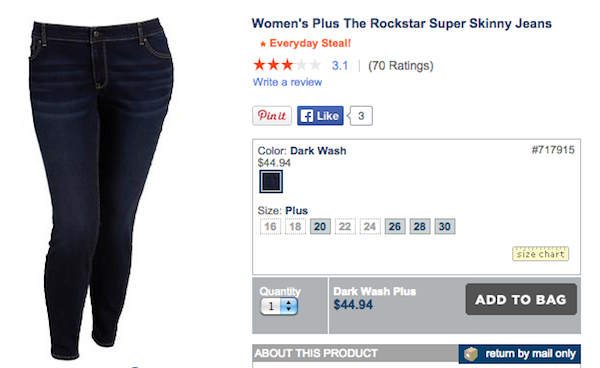 I know pricing differs numerous places, but Old Navy's plus size line is tacking on an extra $15 just for a pair of jeans! 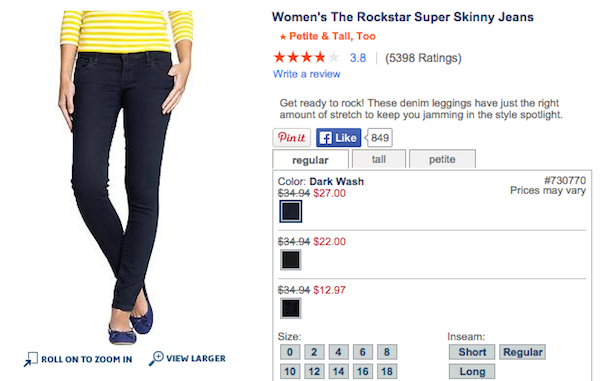 That pricing strategy is truly unsettling and what a bad, bad move for Old Navy. I look at the situation this way. Old Navy's demographic is, but not always, women in their late 20s to 40s. This demographic is filled with powerful women who want to look put together. These ladies aren't about to sacrifice comfort and know how to get a great deal. This demographic is filled with moms who cart their kids all about town and realize that buying clothes for the whole family in one place is a wonderful thing. All that has just been thrown out the window. You see, when you insult your main consumer losing business is inevitable. You better believe women are smarter than to buy Old Navy's "higher price point reflects the selection of unique fabrics and design elements" press release. Yes- that's really the company's reasoning for the drastic price difference between sizes. Not the use of more material, but that the clothing requires a whole different design aesthetic? Are you kidding me? Old Navy's PR team should be ashamed. In case you were wondering, larger men's sizes are exactly the same price across the board. Granted men and women's bodies are different, but I think some serious rethinking is past due at the Old Navy headquarters. Women are undoubtedly the market's biggest consumers so Old Navy is most likely going to have some decline across all their departments. What do you think of this situation? Let me know!